Elegant pure-white flowers with gold markings. Mid-season flowering. 85 cm tall. 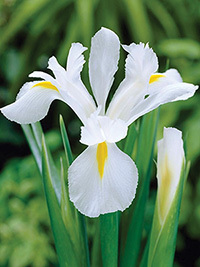 Elegant pure-white flowers with gold markings. Mid-season flowering.